Huckel Molecular Orbital Theory aims to be a simple, descriptive, and non-mathematical introduction to the Huckel molecular orbital theory and its applications in organic chemistry, thus the more basic text found in the book. 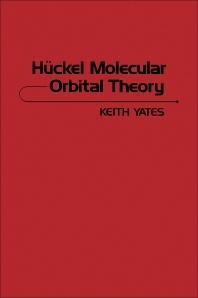 The book, after an introduction to related concepts such as quantum mechanics and chemical bonding, discusses the Huckel molecular orbital theory and its basic assumptions; the variation principle and the basic Huckel method; and the use of symmetry properties in simplifying Huckel method orbital calculations. The book also covers other related topics such as the extensions and improvements of the simple Huckel method; the quantitative significance Huckel molecular orbital results; and the principle of conservation of orbital symmetry. The text is recommended for undergraduate students of organic chemistry who wish to be acquainted with the basics of the Huckel molecular orbital theory.